In Australia, at 8 am on ‘Results Day’, thousands and thousands of South Australian Year 12 students receive their ATAR (Australia Tertiary Admissions Rank) — the all-important standardised score used to gain admission to universities across Australia. The frustrating challenge: many are eligible to add as many as nine school and subject-specific bonus points to their ATAR, which can improve their chances of gaining admission to tertiary institutions like the University of Adelaide. To find out about those bonuses, or adjusted ATAR, they must talk to university staff. Thousands of students. All receiving their ATAR at the same time. All desperate to know about their bonus points. That very moment. They’re all phoning the university wanting a 5- or 10-minute call to answer a few questions and learn about their adjusted score. This past year, 2100 of those students skipped what in the past could be an hours-long phone queue to talk to university staff. Instead, they used Facebook Messenger to converse with a chatbot, answering questions about their bonus eligibility and learning their adjusted ATAR score — in about three minutes. Without the chatbot option, even when the prospective student is able to reach university staff, the staff can’t afford to stay on the phone to answer all that student’s questions, which can create a potentially bad first experience with the university. “The staff who are working that day really feel compelled to hurry the student off the phone because we can see the queue of 15, 20 people waiting, and we can see that they’ve been waiting for a long time,” Cherry says. Enter the chatbot: three minutes on Facebook Messenger and students had their adjusted ATAR. “They could celebrate with their family, share the results with friends, and know if they’re going to get into the course that they wanted,” Cherry says. The university built the chatbot using intelligent bot capability in Oracle Autonomous Mobile Cloud Enterprise platform, using a very simple data integration strategy. Oracle’s mobile platform lets developers quickly create a chatbot, providing tools such as prebuilt interfaces with popular chat platforms such as Facebook Messenger, Slack, WeChat and others. The University of Adelaide gave the chatbot two primary data inputs: a spreadsheet containing the formulas for calculating the adjusted ATAR, and a list of high schools whose students are eligible for the bonus point schemes. What’s next? When it comes to the adjusted ATAR scores, “if I could run the chatbot again this year in exactly the same format, I’d be incredibly happy,” Cherry says. 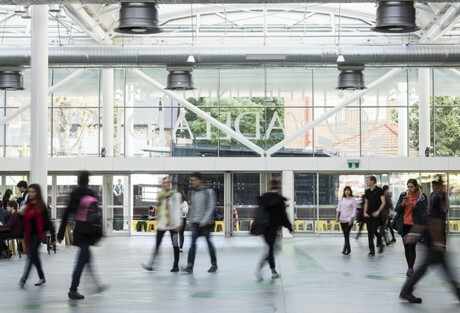 As the University of Adelaide plans to double its student enrolment over the next three years, though, there will be more such projects to improve the customer experience, provide online services to international student prospects, and drive efficiencies to handle the workload. And Cherry expects chatbots to be part of that future, including new capabilities and expanding into other chat platforms beyond Facebook. For the University of Adelaide, its first chatbot is earning top marks. *Alan Zeichick is director of strategic communications for Oracle, where he provides insights and analysis on cloud computing and other advanced technologies. Follow him at @zeichick. Image courtesy of University of Adelaide.